Download "Tomas Peric Czech Republic the result is: 1. To create a new model 2. 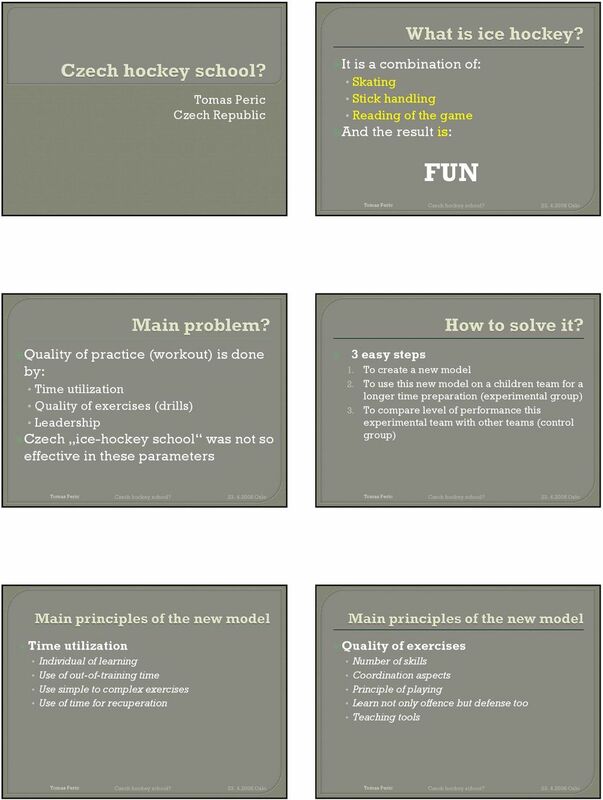 To use this new model on a children team for a"
2 exercises with higher difficulty of coordination handstand handspring somersault exercises in different alternatives - eg. Leadership Be positive Teaching - not loading Life is not just top sport cartwheel in different alternatives On dominant side and/or non dominant side With run-up and without Both hands and/or one hands Incline x decline in different external conditions Track, flat water, high grass, ploughed field, deep sand, forest exercises under pressure Time Field Limitation Psychic additional information information during managed exercise in unusual forms combination of acquired movements gymnastic routine connection of several skills Parallel dribble with two balls and sitting exercise about next activity after load exercises with higher difficulty of coordination exercises in different alternatives in different external conditions managed exercise in unusual forms combination of acquired movements connection of several skills exercises under pressure additional information information during of exercise about next activity after load The main point of exercises with high level of coordination is to bring the players to extreme game situations Exercises with high level of coordination have their own philosophy. Coach have to explain it and players have to accept it. Exercises must balance of the edge of players skills possibilities. 3 There is the necessity to do exercises for longer time and periodically. 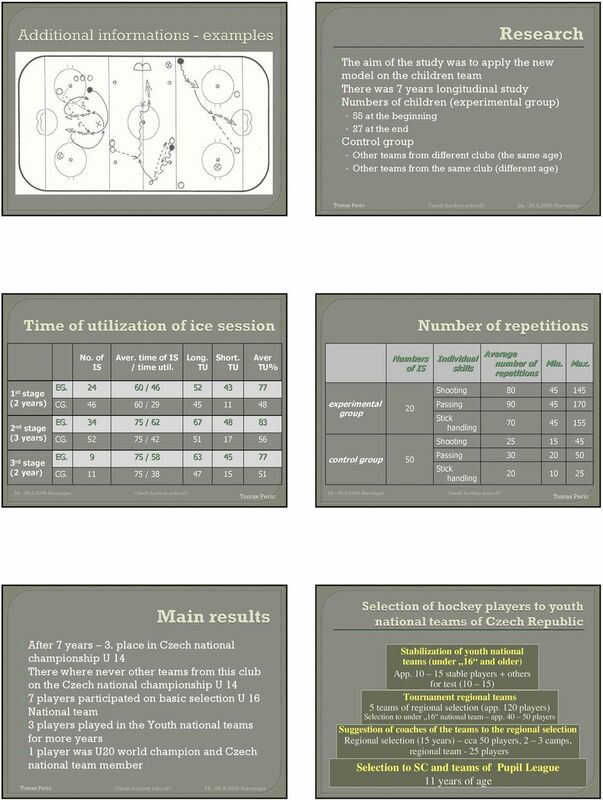 Exercises with high level of coordination should by part of the ice session from players early childhood. 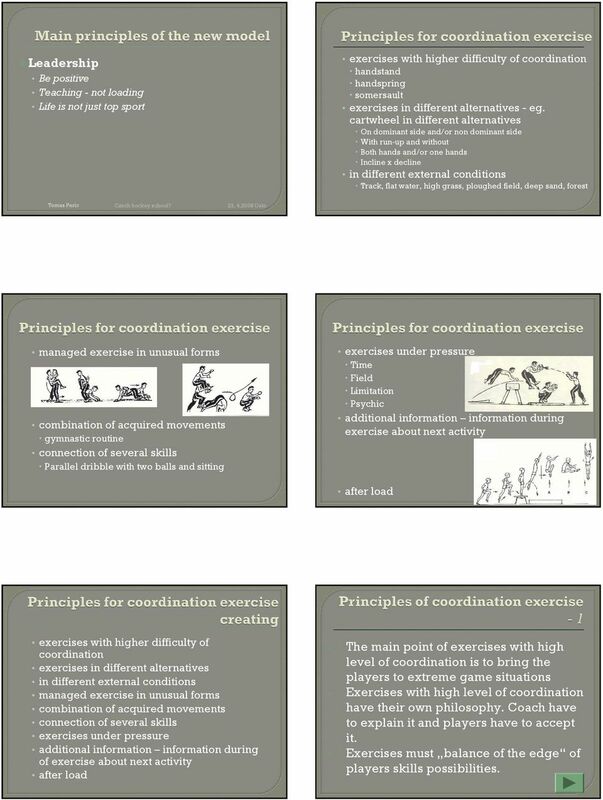 Exercises have to be explained theoretically first and have to be understand before the players go on ice. Team (group) Stick handling Passing and receiving Shooting and scoring Skill combination Game like exercises There is no necessity, to all players in a team have to be able to make it in the perfect way. Coordination exercises should have so high level of difficulty which are able to make it only the best players of the team. 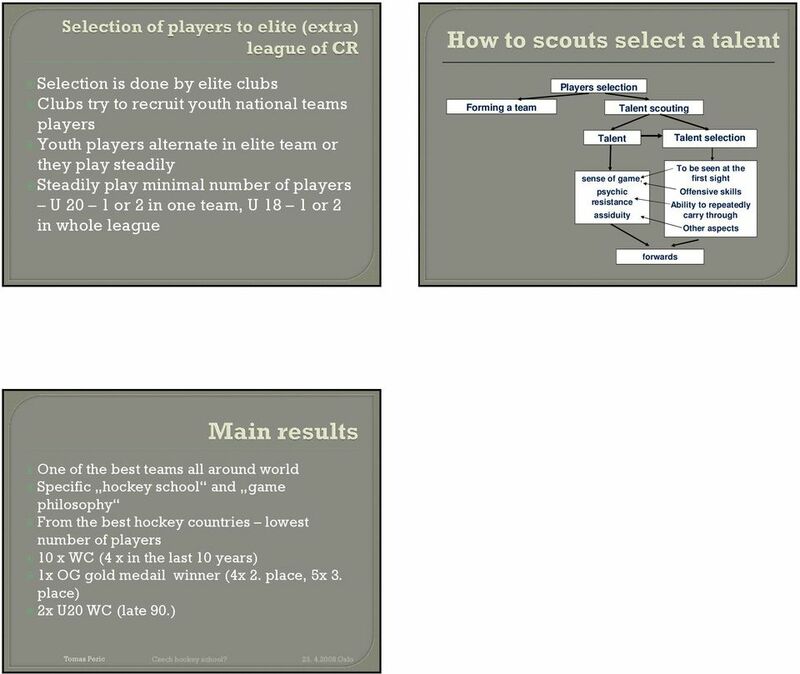 Why use Cross-ice or Small-area games in practice? Medical Insurance Waiver. Name: Primary Care Physician: Office Phone Number: Is camper currently being treated by a physician for injury or illness? COACH DEVELOPMENT PROGRAMME COACH BASKETBALL NEW ZEALAND COACH DEVELOPMENT PROGRAMME GUIDE. Directions: Have the players practice passing the ball back and forth with the person at the cone across from them. Indoor Soccer Drills- Easy Basic Passing Drill Set Up: Place five cones in a line evenly spaced down the court. Place another set of five cones facing the other set of cones about 10 yards apart (see diagram). Wellness to World Cup Canadian Soccer LTPD Supporting wellness through to World Cup excellence The diagram shows how the LTPD model accommodates athletes at all levels of interest, ability and achievement. Minkey Field Hockey Manual PROLOGUE Why start with MINKEY? Why not play Field Hockey from the beginning? MINKEY is much too simple! These are questions and statements that people will occasionally present. Hatfield Ice Coaches Drill Book Practice Rules & Tips 1.) Keep the players moving as much as possible! The less the players stand around, the less likely they will lose focus or interest in the practice. Off-ice training for Skating Skills To develop your skating skills to an optimum, on-ice training alone will not be sufficient. To perform the complete skating stride there are so many components involved. SOCCER FUN GAMES (1) RELAY RACE. Summer Holiday. 29 July to 2 September. hertssportsvillage.co.uk. Sporting activities for tots to teens. Bookings Open Now! FIBA EUROPE COACHES - FUNDAMENTALS AND YOUTH BASKETBALL by Nikos Stavropoulos THE GREEK YOUTH PROGRAM: OFFENSIVE PHILOsOPHY Nikos Stavropoulos is the Head Coach of the Greek National Junior Men s Team. Power Plus Hockey Skating Inc.